Welcome to Dracula Season! With the release of Castlevania Requiem for the PS4 last week, I felt a hankering to dig into the classic games included, Symphony of the Night and Rondo of Blood. But they were both part of an earlier collection, The Dracula X Chronicles for Playstation Portable. But rather than a collection, they were unlockable bonus content in one of the most difficult games in a notoriously punishing franchise. Dracula X is a faithful remake of Rondo of Blood using 3D Polygonal graphics instead of sprites. The models look very good, and are quite detailed, but they still feel a bit dated by modern standards. The game retains every controller-snapping bit of difficulty from the original, which came out for the PC Engine console and was not previously released outside of Japan and is one of the hardest entries in a game series known for its brutal challenge. By finding special items hidden in the remake, players can unlock both the original Rondo of Blood in all it’s 16-bit pixelated glory, and its sequel, the breakout Playstation hit Symphony of the Night. And while these aren’ just laying out in the open (they’re found on hidden stages in somewhat more difficult paths) A few minutes of googling should help you reach them if you’re only really here for the original, which for the PSP is priced less than Requiem. Castlevania: The Dracula X Chronicles retains all of the charm as well as the extreme challenge of the 1993 original. You can find it in the Playstation store if you have a PSP or Vita laying around. We’re hunting Draculas out of season! A classic from the early days of the Super Nintendo, I picked up Super Castlevania IV from the New 3DS eshop! And it’s just as thumb-breakingly difficult as I remember. This game is hard, which is not to say that it is UNFAIR. For the most part, the game’s traps and enemies can be out-thought. This is a true old-school pattern memorization platformer, and it doesn’t mess around. But although I found myself dying over and over at the hands of Dracula’s minions and spikes of the castle’s many traps, it never feels like the game is cheating. Obstacles can be overcome with patience and reflexes, rather than luck. And this game throws a ton at you. The castle feels more malevolent in ways than later iterations of the game. The sprawling 2-D puzzle maps of Symphony of the Night and its ilk, generally referred to as “Metroid-vaia” style games, are all puzzles to be solved. You can go anywhere, and frequently, backtracking is require to uncover all of Castlevania’s juiciest secrets. Super Castlevania’s tightly designed levels are just the opposite. There is no going back. Every step feels like an unreconcilable choice. Drawbridges slam behind you, spike traps dog your heels, and platforms constantly shatter under your boots. Each jump feels like a commitment, creating a tension that builds through the entire game until you are whip-to-fang with Count Dracula himself. Super Castlevania IV looks and sounds great on the New 3DS screen. The big sprites and sampled music were outstanding for the time, and they are perfectly preserved emulated on the handheld screen. The analog stick works well for the most part, although attacking and moving at angles is somewhat unreliable. You lose your momentum if the stick isn’t at just the right angle, which can be a problem when trying to climb collapsing staircases and clearing flying enemies in later stages. Super Castlevania IV is a great pick up if you’re looking for some retro platforming on your New 3DS, or just want to kill time until the new Castlevania series drops on Netflix next month. You can find it in the New 3DS, Wii, and Wii U Virtual Console. Thank you for reading this article. If you enjoyed it, please share it! You can also support me on Patreon for more goodies! The sequel to 2003’s “Aria of Sorrow,” Castlevania Dawn of Sorrow” was the first installment of the series for the Nintendo DS. A savvy reader might point out that ‘Dawn’ isn’t the best name for a sequel, but since it appeared in the first year of the system, it was one of many games that glommed on to the ‘DS’ suffix. The game once again follows teen reincarnation of the Lord of Darkness Soma Cruz to a maze-like castle in which he will again come to terms with and try to overcome his destiny. When he is confronted by a cult leader searching for the Lord of Darkness, Soma’s power of Dominance unexpectedly returns, forcing him to confront his past life once again. On the whole, “Dawn of Sorrow” doesn’t bring much new from its GBA predecessors. The main game puts you back in the shoes of Soma, with the ability to Dominate and use the powers of various monsters to fight and to solve puzzles. You can also collect extra souls to power up your abilities and weapons, which is nice, but mostly this game is more Aria of Sorrow with prettier graphics. The game does have a ‘seal’ system, in which bosses have to be sealed away to be beaten. This involves drawing a symbol on the touch screen after the fight. It is a bit annoying, forcing players to keep a stylus tucked in their hand during the fight, but hardly the most egregious tacked on touch-screen gimmick of its day. The game also features a return of the standard Castlevania extras such as unlockable characters and Boss Rush modes. 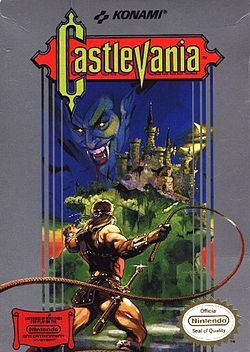 The extra mode is a real treat in this version, as it allows the player to switch between characters in a fan-service nod to Castlevania III. The game still holds up relatively well, with well-designed, highly detailed sprites. The castle feels nice and big, and it isn’t too hard to navigate with plenty of warp and save areas. The game had a little trouble running in my New 3DS, however. It would occasionally freeze or glitch, and the system wouldn’t be able to read the game card. This wasn’t enough of an issue to prevent normal play, however. “Castlevania: Dawn of Sorrow” is an incremental but worthy installment in the Castlevania franchise, and is well worth your time if you’re looking to explore Dracula’s castle this Halloween. It doesn’t break a lot of ground, but it is a fun and challenging adventure. You should be able to find a used copy at your local game store. Thank you for reading this article. If you enjoyed it, please share it. You can also follow me on Patreon! Visit today to check out a free short story for Halloween!